THE RED REEF PARK IN BOCA RATON! Posted by Brittany Bosher on Friday, September 25th, 2015 at 5:22am. 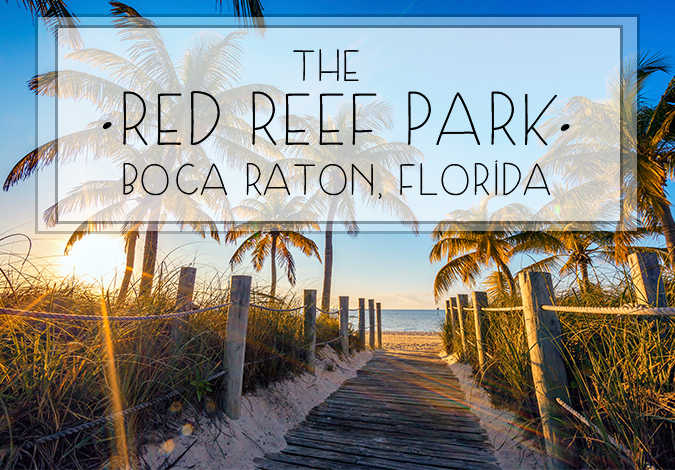 The Red Reef Park offers 67 acres of pristine, oceanfront preserve right in the heart of Boca Raton, Florida. The park offers residents and guests a breath of fresh air! There are no high-rises along the Red Reef beaches, so you really feel like you’re back to basics. Snorkeling: You won’t need a boat to get out to the reefs! Beautiful, tropical reefs are abundant here in Red Reef Park and you can swim to them from the beach! These rock and reef outcroppings are teaming with vibrant reef fish, sea fans, corals, turtles, eels and even dolphins. Swimming: Lifeguards are on duty year round at Red Reef from 9:00 am to 5:00 pm so you know you swim safely. Fishing: One of the most popular pastimes at the park is surf fishing. Park visitors are able to fish from the beach. However, there is no surf fishing allowed in designated swimming areas during swimming hours. Nature Tours: A number of interesting tours and walks take place along the wooded areas of the parks. The Gumbo Limbo Nature Center is a part of Red Reef Park and they have a series of fun and educational programs. Whether you enjoy bird watching, learning about sea turtles or want to educate yourself on the reef systems and ecosystems of southern Florida, there is no better place to do it than here at Red Reef and Gumbo Limbo. Picnics and Fires: Have a picnic or grill out with friends and family in the park! There are covered tables, grills and restrooms available to park visitors. However, if you plan to grill out you must use a self-contained charcoal unit. Please no open or wood fires. The Red Reef Park is one of Boca Raton’s gems. The beaches are pristine and healthy, wildlife is plentiful and the water is always warm. Come out and enjoy the scenic nature and beaches of Red Reef Park!